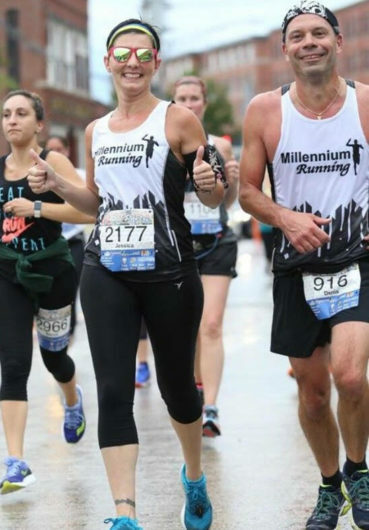 The Millennium Running Club brings together athletes of all ages and abilities. 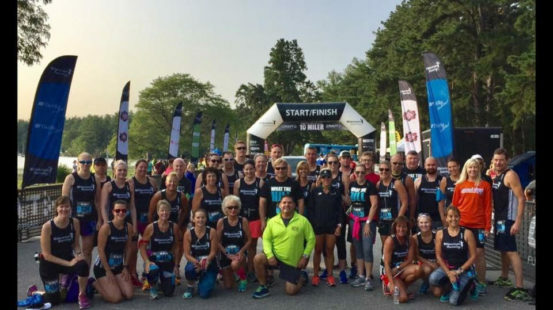 Whether you are a beginner just getting into the sport or you are an Olympic Trials Marathoner, the Millennium Running Club will offer you a fun and welcoming community to reach your potential. Members are inspired by our professional coaches to work toward personal records and will learn more about various workouts and their purpose, gain fitness, and meet friends with similar goals and interests. The members are also offered opportunities to give back our community and have fun when they participate in events organized by our Service Committee and Social Committee. Club Singlets: Registrants receive the new and improved 2019 official club singlet. Winter: Starting on January 10th and going through mid-March, workouts occur on the Indoor Track at the Hampshire Dome in Milford on Thursday’s at 6:30pm. Thursday Night Pub Runs: Thursday evening runs (April-October) from various bars in the greater Manchester area. Redeem your free Sam Adams | 26.2 Brew beer ticket with your friends after the run! Long Runs: Scheduled group long runs happen throughout the year. Millennium Retail Store: VIP nights and exclusive club sales & promotions at the Millennium Running Retail Store. Event Refunds: Current members receive 100% refund from events if a refund is requested more than 4 days from the event. Car Insurance Discounts: Club members can Save 10% on Car Insurance from our partners at HPM Insurance. Get details here. Committees: Club members that wish to be more involved are welcome to join our Service Committee (Community Service) and/or our Social Committee!